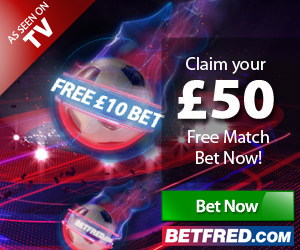 Betfred is home to some of the best sports betting promotions around. 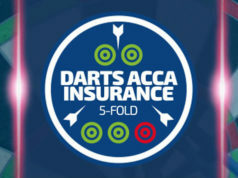 Their punters can enjoy plenty of free bet refunds on all the latest top sporting events, as well as reaping tons of benefits from many other highly rewarding specials. But right now Betfred customers can also bag double the odds on successful qualify first try scorer bets placed on select Rugby Union matches. Simply stake a qualifying first try scorer bet on any eligible Rugby Union match offered by Betfred.com, and if you win, you’ll be paid out at double your original first try scorer price. 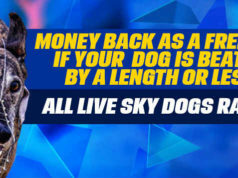 • This offer applies to betfred.com and betfred mobile customers only. 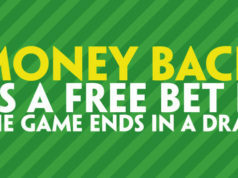 • This offer applies to pre match single first try scorer bets only. • All extra winnings earned from this offer will be credited to your account within 24 hours of your qualifying bet being settled. • Qualifying first try scorer bet placed using an exisiting free bet will not count towards this offer. If you wish to get in on the action but haven’t already registerd an online sports betting account with Betfred, then sign up today and you too will qualify for an awesome one off free bet welcome bonus, where you can bag £20 free by simply depositing just £10, that’s a huge total of £30 to play with. Use your newly awarded bonus cash to experience Betfred’s sports betting markets and features such as virtual sports, in-play betting, live greyhound steaming, mobile sportsbook app and much more.